I’ve always been a big fan of horror movies. There are several iconic horror personalities in Hollywood including Michael Myers, Jason Voorhees, Chucky and the inimitable Freddy Krueger, who I consider the master of the horror genre. It’s unfortunate that these titans of horror never graced a SEGA platform, although you could make the argument that Jason inspired the look of Rick from Splatterhouse, so there’s that. Back in 1989/1990, A Nightmare on Elm Street video game was published by LJN and released for Nintendo Entertainment System. I guess the closest SEGA ever got to an A Nightmare on Elm Street game was Nightmare Creatures, but that was “scary” for very different reasons! 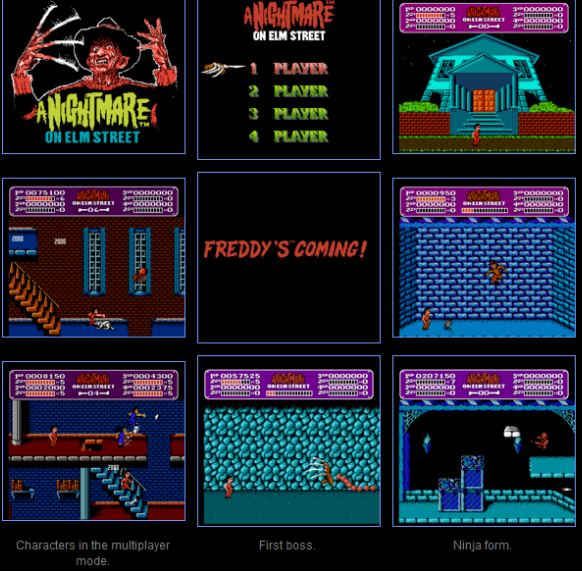 The NES version of A Nightmare on Elm Street was notable for supporting up to four-players via the NES Four Score peripheral. In the game, you assume the role of a teenager and are tasked with gathering up Freddy Krueger’s bones so that you can bury him to save the souls of your fellow Elm Street teens. The game also featured a Sleep Meter (1, 2, Freddy’s coming for you… 3, 4 better lock your door… 5, 6, grab a crucifix… 7, 8, don’t stay up late… 9, 10 here he comes again…). Compared to modern-day horror games, the original was decidedly ineffective at conveying the shock, awe and horror of Freddy Krueger the nightmare demon. Take a look at some of the screenshots from the original, and you will instantly understand why it doesn’t hold a candle to the modern-day variants of this game. I’m a huge SEGA fan, but sadly neither the PlayStation nor any SEGA systems have this game available. I ran a check at the PlayStation Store for A Nightmare on Elm Street, and was briefly excited when I found six results – but they were all for the movies – no video games. There are plenty of places that sell used video games, but I haven’t found any yet that have copies of Nightmare on Elm Street. Then, I happened upon it, an incredible A Nightmare on Elm Street game in a unique format. We’re talking the real deal. You want actual footage of Freddy Krueger in the most terrifying situations (remember Freddy’s gloved hand emerging from the bath tub?) or Freddy’s rusted blades scraping against the pipes in the boiler room? That’s the Freddy Krueger we all remember from the 1980s and 1990s. Now, there is only one other place that I found this game in an incredible format. Look at the image below – this is the real deal. Isn’t this ghastly? This is A Nightmare on Elm Street online slots at Wink Slots. You have to be 18+ years of age – a good thing given the terrifying nature of this game – but it’s actually because it’s a gambling-style game. You can win money by surviving the jump scares and freakishly gruesome scenes in this slot game. It features five spinning reels and 30 paylines. Do you have the guts to play this terrifying game with bloodcurdling sounds and horrifying visuals on your own? It’s a pretty tall order – but you can do it! There are many other terrifying horror games out there such as Friday the 13th : The Game. This video game was released by Gun Media Holdings Inc, on May 26, 2017. It’s got a 4.5/5-star rating (24,786 ratings) on PlayStation 4, and costs you a cool $40. The game is a scare fest of note. We’re talking 2-8 network players. Strong language, blood and gore, intense violence, suggestive themes, and the works – this is the real deal. It’s too bad that in recent years SEGA hasn’t done a lot in the horror space. 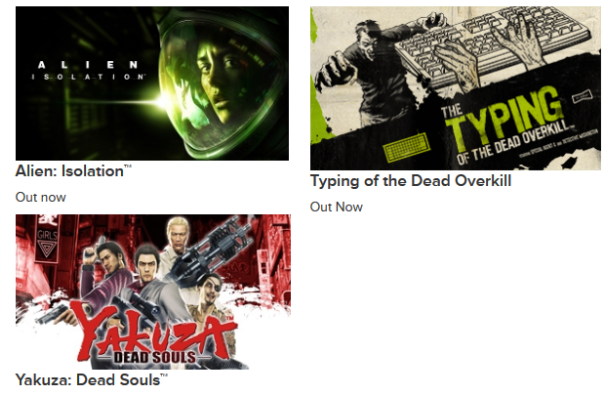 I mean, there is Yakuza: Dead Souls, Typing of the Dead Overkill, and Alien: Isolation, the last two were quite extraor. We definitely need to petition SEGA to release more of these horror-themed video games since there is a big market for them towards the end of every year – Halloween! You’ll find some cool games like Resident Evil, Jurassic Park, Illbleed, House of the Dead 2, Dragon’s Fury and D. These are great SEGA games, and if you search a little deeper, you’ll probably find a terrifying selection to choose from. Do yourself a favor and check out the Nightmare on Elm Street slot game – it’s a new way to scare the living daylights out of yourself… if you dare.